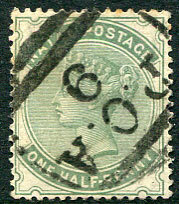 dated B/DE 29 10 on KE7 1d (SG.147) piece. dated SP 30 07 on KE7 ½d (SG.146). on QV 1d (SG.99a), diffused ink. 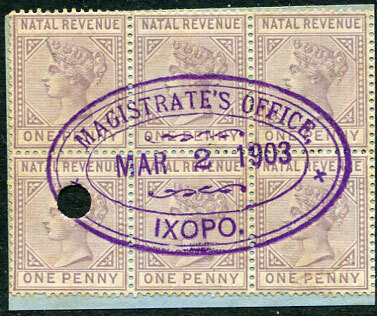 on QV 1d (SG.99a), partial indistinct cds. 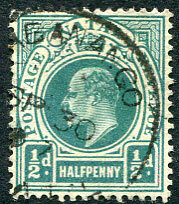 on QV 4d (SG.102), reverse toning. 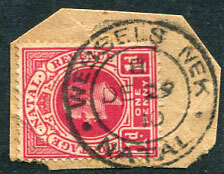 on QV 1d (SG.99a) piece. (N) A/MR 11 01 on QV 1d (SG.99a). 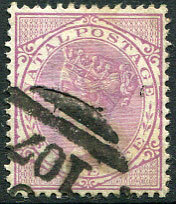 on 1882 QV 6d mauve CA wmk (SG.103). 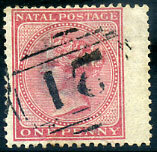 (M.1) A/DE 30 10 on KE7 1d (SG.148) piece. (M.2) AU 25 11 on KE7 1d (SG.148). 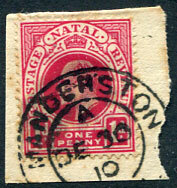 (N) dated 1 7 91 on QV 1d (SG.99a), thinned along base. 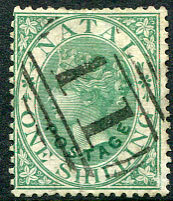 (Type N) D/16 DE 05 on KE7 1d (SG.148). (M.3.4) OC 15 07 on KE7 1d (SG.148). 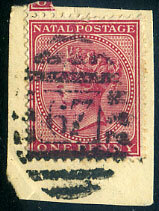 (N) A/JY 18 00 on QV 1d (SG.99a). 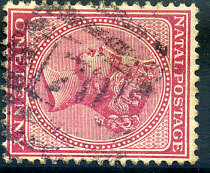 (N) 9 6 86 on QV 1d CA wmk (SG.99), smaller faults. 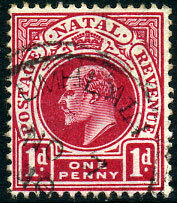 (N) 17 7 05 on KE7 1d (SG.128), minor facial rubbing at base. 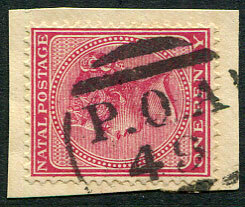 (N) NO 7 10 on KE7 1d (SG.148).